Not everyone realizes quite how versatile extra virgin olive oil can be in the kitchen but the growers certainly do. 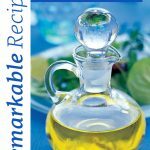 Some time ago I put together a collection of recipes from olive oil producers around the world and published it as my e-book Remarkable Recipes. 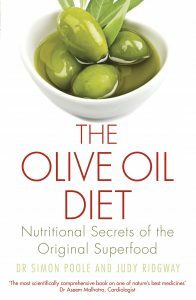 Great olive oil recipes for casseroles to cakes continue to come in from all sorts of people associated with the olive oil world and so I have decided to post them on my blog until such time as I have sufficient for another book. 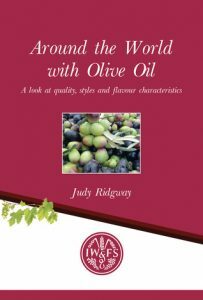 I will also be including any really good recipes which shows off the versatility of extra virgin olive oil regardless of where they come from. Incidently, the first book is now available in spiral bound paperback as well as in e-book form. Here is the first batch of these new recipes. I have not had time to fully test them so do let me know if you have any problems with the quantities or methods. This is a typical dish from Lesvos, in some parts of the island this dish is a symbol of joy because it is served at weddings. Chick peas are grown close to the gulf of Kalloni and due to their durability they can thrive in different types of soil. This recipe comes from Katie Musgrove who imports Olvia Evoo. This complex and attractive oil is pressed from Adramytini and Kolovi olives on the island of Lesvos. Put the chickpeas in warm water and salt and leave overnight. Rub the chickpeas with a towel or muslin to remove their skins and rinse. Cut the veal into small pieces. Sauté the onion with some of the olive oil, adding the veal after 2-3 minutes. Add the chickpeas, the fresh tomato and the tomato puree. Add the remaining oil and season with salt and pepper. Add enough water to cover the chickpeas and boil for an hour, until they are soft and meat is tender. The name of this Greek recipe from Panos Manuelides at Odysea refers to the “covering” of the pot in which it is cooked. 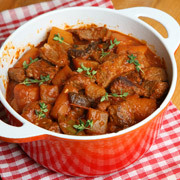 It’s a traditional casserole, from the Kalamata region of the Peleponnese, which is cooked slowly over a low fire. Panos tells me that it is usually cooked with lamb or beef but hare, rabbit or chicken can be used instead. I decided to go for the beef version but chicken or rabbit might be lighter for a spring or early summer meal. In Greece the dish would be served on thick spaghetti with sfela kalamatiani. This is a feta-like cheese from the region of Kalamata but the flavor is sharper and the texture is harder. A mature hard goat’s cheese such as Ticklemore could be a good choice. Choose a good, well flavoured, Greek extra virgin olive oil such as Iliada PDO Kalamata which is widely available in the UK. 1kg of beef brisket or chuck steak cut in medium pieces. In a big pot, heat half the extra virgin olive oil over a low fire and add the meat. Stir for 4-5 minutes until the meat is sealed. In a separate frying pan fry the grated onions with the extra virgin olive oil. Next add the fresh tomatoes, the contents of the can of tomato paste, 2 cups of water and a cinnamon stick to the meat. Season and then add the fried onions. Cover the pot with a lid and leave it to cook slowly for approximately 1 hour and 30 minutes until the meat becomes tender, adding a small amount of water if necessary so the meat doesn’t dry out.